The international media has in the recent past become inundated, if not infatuated with the action of TV journalist Muntadhar al-Zaidi who had been invited to a press conference on Sunday called by the Iraqi Prime Minister Nuri al-Maliki and the visiting US President George Bush. Some sections of the press saw him as a hero for hurling his shoes at President Bush and with that gesture words that could only come from somebody who used his position as a journalist for his personal ambition - giving the visiting President what he thought was a fitting farewell for all what had befallen Iraq since the US-led invasion of the country. 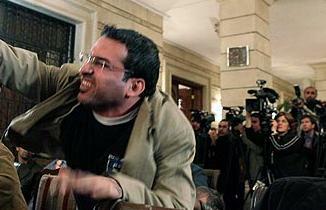 Indeed Muntadhar al-Zaidi himself is reported to have suffered at the hands of both US forces and at least one of the anti-US militias operating in Iraq and it would appear that the reported beatings, humiliation and alleged torture he suffered at the hands of his tormentors could have forced him into taking such a line of action. Be that as it may, as one colleague pointed out, that action by the clearly frustrated Muntadhar al-Zaidi goes beyond the remit of the profession and must be condemned by all real journalists for such an action is bound to create fears and suspicions about the motives of other members of the Fourth Estate whose presence at that and other such meetings are for news-gathering purposes and not to become a part of the problem. By using the cover of a bona fide journalist to attend such a high-profile media event and then losing it in such a crazy manner Muntadhar al-Zaidi in a bid to satisfy a somewhat burning desire that was waiting to be unleashed could have satisfied his ambitions, but put other journalists in an embarrassing situation. Camera shots of the event shown on the internet clearly showed the surprise and consternation on the faces of colleagues who could have viewed such an outburst as uncalled for if not amateurish and puerile to gain a moment of international "fame". And behind all this would come many questions and scenarios too dark to contemplate. What if Muntadhar al-Zaidi had managed to slip through with a firing or explosive device? In one of the pictures shown on the internet, Muntadhar al-Zaidi was seen going down as he prepared to hurl his second shoe at President Bush. Again imagine what it would have been like had a trigger-happy member of the security services of the Iraqi government or the Bush protection guard opened fire? The Sierra Herald would again want to remind those who are apt to use the profession as a means to an end to remember that while trying to achieve their "ambitions", there are others in the field - real journalists whose career is to inform and educate, if not entertain and that such selfish actions undermine the noble ideals of the profession. Witness the Expo Times and the Daily Mail and other junta-loving media outlets during the reign of the beasts (May 25 1997-February 1998) when association with the Johnny Paul junta and being in their good books were used to justify not only junta excesses but attacks against colleagues. It would be recalled that in 2001, just a couple of days before the September 11, 2001 attacks on the US one Afghan resistance leader thought to be sympathetic to the West was murdered by suicide bombers pretending to be TV journalists. And so was the life of Afghan resistance hero Ahmad Shah Masood snuffed out by the two "journalists" who detonated a bomb packed in a video camera!!! Though the Soviet soldiers were better equipped, they were no match for the fierce courage of Massoud's mujahideen, and in 1989 the Soviet forces finally withdrew. 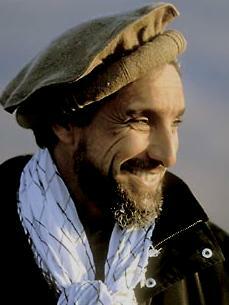 After successfully ousting Najibullah's government three years later, Massoud rode a tank into Kabul and took his place as military leader and Minister of Defence in the first regime after Soviet occupation, led by Rabbani. A court in France later jailed three men who were believed to have had a direct hand in helping Al-Qaeda eliminate their greatest enemy.